For those who might find the need to take a casual journey into Music as a beginner, or those who want to take a serious look at Music as a hobby or profession, MusiKamay offers a unique and pleasant overview of its basic principles and some fresh ways to approach the theory and the practice of this most pleasurable human endeavor. The book has been designed both as a friendly primer (on theory) and a simple manual (on practice) for those who are musically-challenged in terms of knowledge and experience. As such, it can be used by any experienced musician – or even by a beginner as well — to facilitate the teaching and appreciation of Music by enthusiasts, as well as budding virtuosos, performers and songwriters, without the accompanying complexities and technical difficulties often seen in other conventional and alternative methods. Music, just like Mathematics, poses various tough challenges for all kinds of people of all ages – reading notes, finger dexterity, distinguishing keys, timing and so many others. Nevertheless, the writer assures the reader that once a person learns the most basic technique of MusiKamay, one’s perspective of Music will have changed into a more-forgiving and even a warm-welcoming attitude. It would seem like looking at the intricate patterns of a colorful hand-crocheted sweater which would definitely take hours and weeks to finish but, in reality, requires but one or two basic tricks which any child can learn in a minute. We all did it as kids with our mothers’ or school-teachers’ help. For Music has only seven tones or notes to work with – how difficult can that be compared to 26 or so letters in the alphabet? And yet, we all know how to read and write. Yes, it took us one or two years to do so; but everything is all second-nature to us now. Why should Music be any different as a field of study or as a playground of creativity, given enough interest and attention? Fun! That is what Music is all about. Begin the fun you have been missing all this time. Or rekindle your love for Music. As the title puts it, the secrets await to be unlocked. No better and safer adventure can you find that will bring a thousand delights and a load of self-satisfaction. The best part is that all it takes – from Zero to Infinity – is the use of your precious tiny fingers. The writer does not make empty promises when he says this book will help the reader unlock the secrets of Music. Why? Because through the proper use of one’s fingers, anyone can gain a full abstract, as well as practical, understanding of the musical scales and other principles in Music. Meaning, what one attains through knowing can easily be translated into doing – as in this case, playing Music. Of course, we know of the oido method of learning Music – playing or singing what one hears. We all learned this as children. However, knowing what makes Music tick, how it ticks and why it ticks will give any serious student a better grasp of what he or she is playing. More than that, it gives one the advantage of playing with confidence and precision since one does not merely copy or mimic others but plays from one’s own mind and heart. Visualizing the structure of the scales (major, minor, chromatic, pentatonic, etc.) using one’s fingers allows the student to play more easily and effectively on any instrument. Constructing or forming chords will then become as a simple and natural result of the previous knowledge, facilitating the use of an instrument. Learning and understanding the various keys and playing them on an instrument will also become an intuitive or natural result of using the method, allowing any student to derive all the keys readily without even the use of a chart or staff. Transposing keys (from Major C to Major Eb, for instance) will also become as easy as counting numbers using one’s fingers. Learning and playing the various musical modes (Ionian, Phrygian, Aeolian, etc.) will no longer be a challenging task when one already knows how to get them – of course, using only one’s fingers. Finally, the student will be introduced to the initial process of composing music through building harmonies and charting one’s way through the various possible paths of melodious and interesting chordal or harmonic progressions. Still think it is Impossible? No one can promise all these if it were not at all possible through some intuitive method. 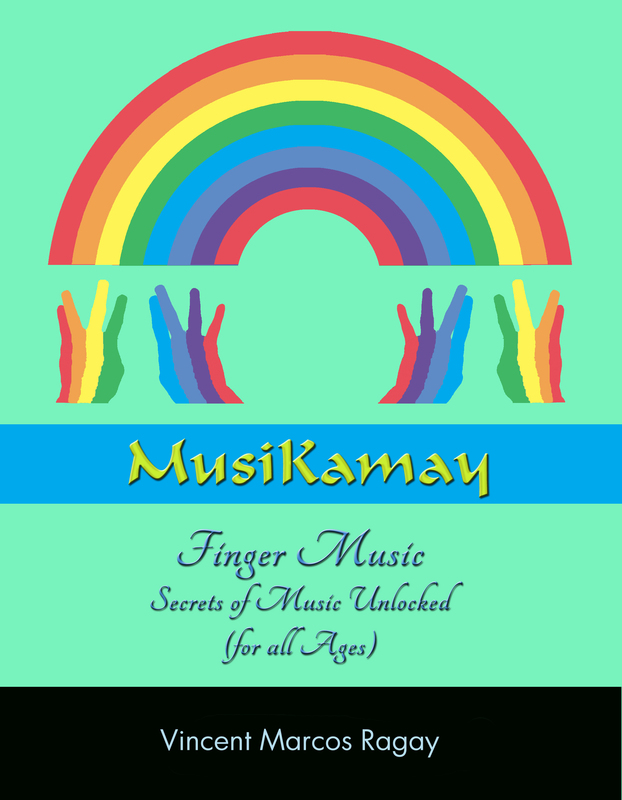 MusiKamay is your key to that musical understanding. Limited promo price for residents in the Philippines is PHP 295.00. To get a copy of the ebook, please pay through PayPal [no promo available] via the link below or through Cebuana Lhuiller or Western Union by sending your payment control number. Your copy will be sent by email asap. For comments and inquiries, send email to the writer at manariwa@gmail.com. Thank you. Please allow up to five (5) working days for me to send you your digital copy of the book. Thank you very much!